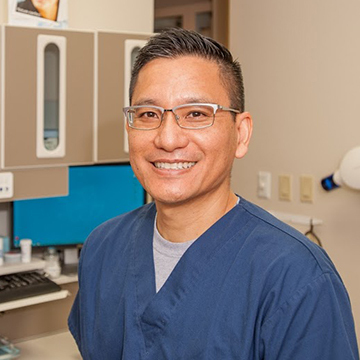 Dr. Komson Sudhi believes that the key to a lifetime of strong oral health is effective preventive care, based on cutting-edge technology and a tradition of care for his patients’ well being. Dr. Komson Sudhi comes from a fine health care tradition. Since he was reared in a family with a father who specialized in Allergy & Immunology and Pediatrics, and a mother who was a Registered Nurse, the importance of health care was instilled early on. Other than English, Dr. Sudhi also speaks Spanish and Thai. When not practicing dentistry, Dr. Sudhi enjoys family life with his wife Emmy and 2 sons Kaden & Kyle. To find out more about Dr. Sudhi, please see his Curriculum Vitae. Restaurants Fat Straws Bubble Tea Co.